We finally have warm weather in Toronto! When it is warm, I prefer to wear clothes that are loose, and comfy that don't stick to my body. These colourful, comfy, and stylish Bohemian Pants™ are the perfect bottoms for this season. I love that the pants are lightweight and breezy. These pants are beautiful stitched with style and quality in mind. 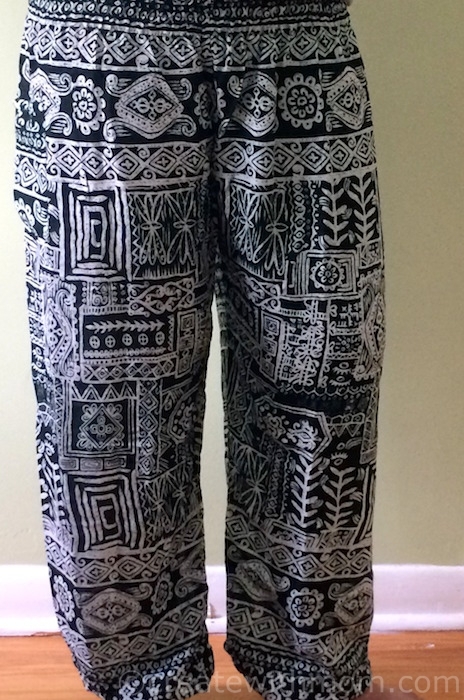 The collection of different designs such as Bohemian Harem pants, yoga pants, and Boho pants are made in Thailand, which is reflected in the bright and beautiful design and colour choices of the pants. It is not easy to find these types of unique pants at reasonable prices in standard Canadian shops. I like that the pants costs around $20 to $25 and can be easily purchased online, which makes them affordable daily wear. These Bohemian pants can be dressed as casual, or as evening wear by combining with a variety of different tops. These pants are also comfortable for casual strolls, yoga, exercising, travelling or relaxing at home or on the beach. Having a pocket in the side of these pants is useful. The pants are available in one size to fit anyone from Small to Large since they use a stretchy elastic waistband that sits comfortably around our waist. We can wear at normal waist height or lower. The length measures 43", since the ankles are elasticated it could be pulled up or down easily. 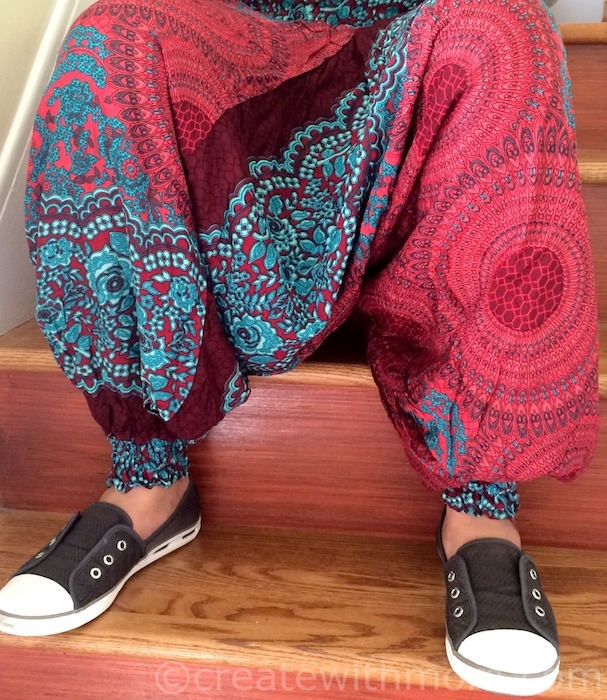 These pants can be purchased online from anywhere in the world, and they ship for free if the order is over $50. 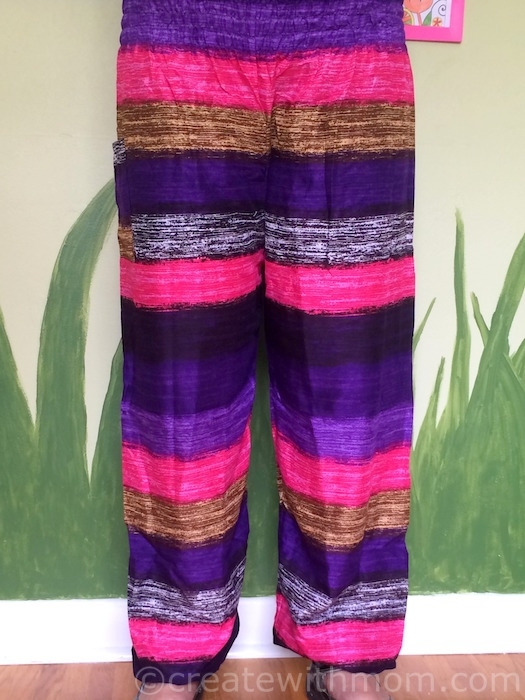 These pants look really comfortable and are very colourful. those pants look actually compfy. about the only pants i'd wear. This is perfect. Beautiful designs. 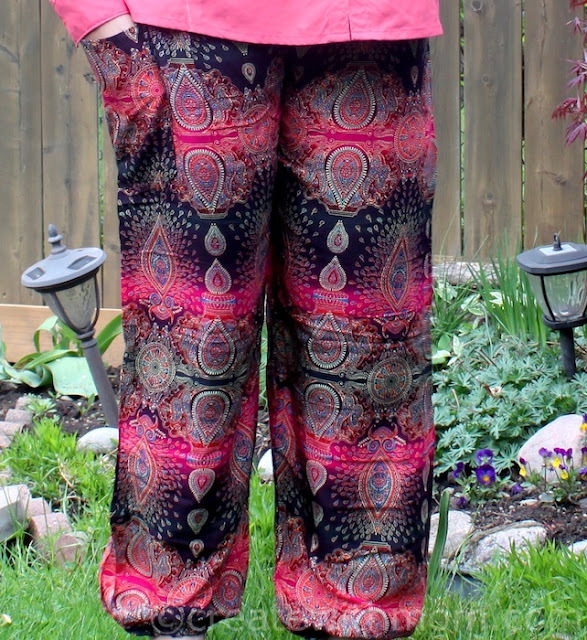 I absolutely love Bohemian pants! They're both comfortable and gorgeous. Very bright and colourful. Nice. They look super comfortable. I love the patterns. I love wearing comfy pants. they look so comfortable and funky. So many awesome patterns! Those pants look pretty comfortable and cool for the warm summer weather! I like some of the patterns, some not so much! These pants are colourful and look so comfy! Those are very colourful pants! I've never worn bohemian pants but they look really comfortable. I love these, they look so comfortable and what I really love about them is they can be dressed up for going out or dressed down for those comfy casual days! They look very comfortable. Kind of remind me of parachute pants from a few decades ago. They would be such fun for any season.